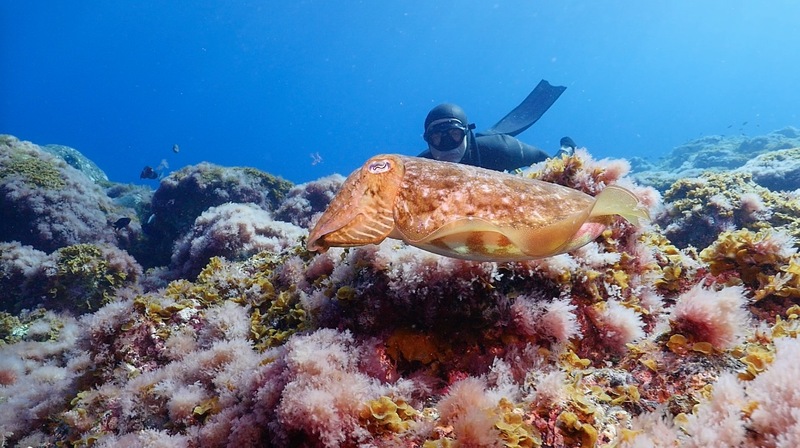 A beautiful encounter with a cuttlefish (Sepia). It is amazing how they can change their color and how deep they can look into your eyes. That´s why i like them better free than fried.